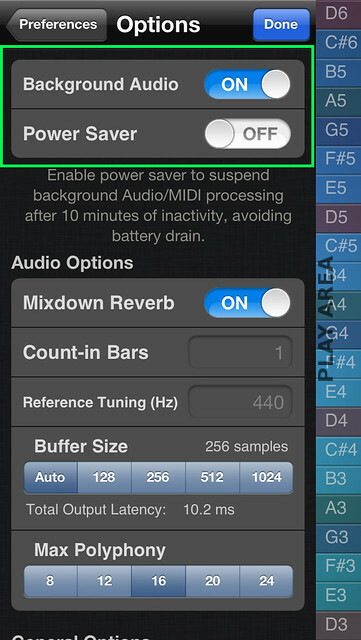 you will need to make a couple of settings changes in whichever synth app you have installed. 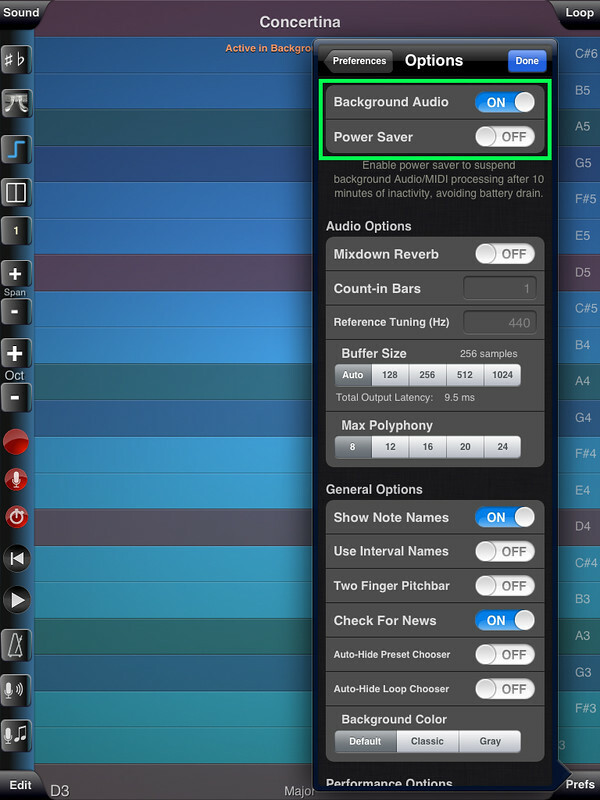 Generally, the two things you need to look for are enabling "CoreMIDI" and "Background Audio". 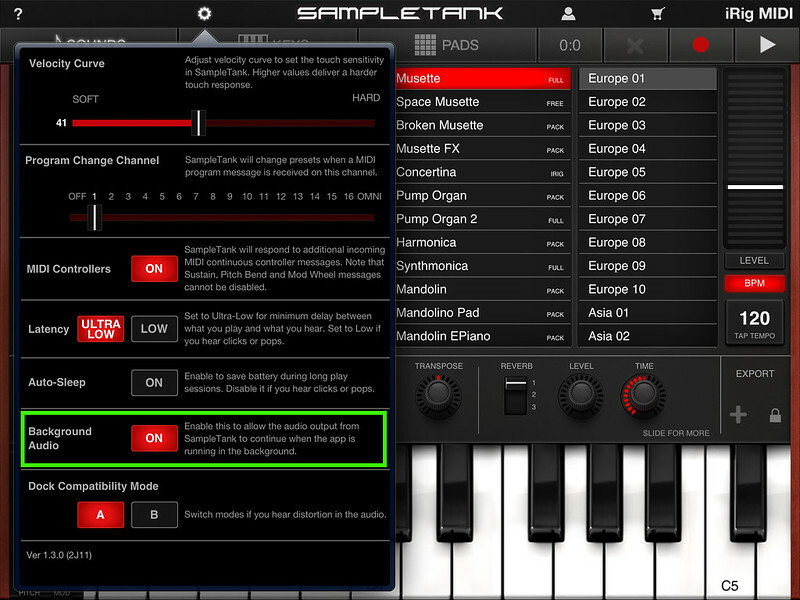 In the screens and video below, I show how to do this for two popular synth apps: SampleTank and ThumbJam. This information reflects version 2.2 of ThumbJam. For version 2.1 or earlier please click here. I have one of your bagpipes control surfaces, either MIDIPipes or MIDIChanter. How should I setup my iPad background synth app patches? 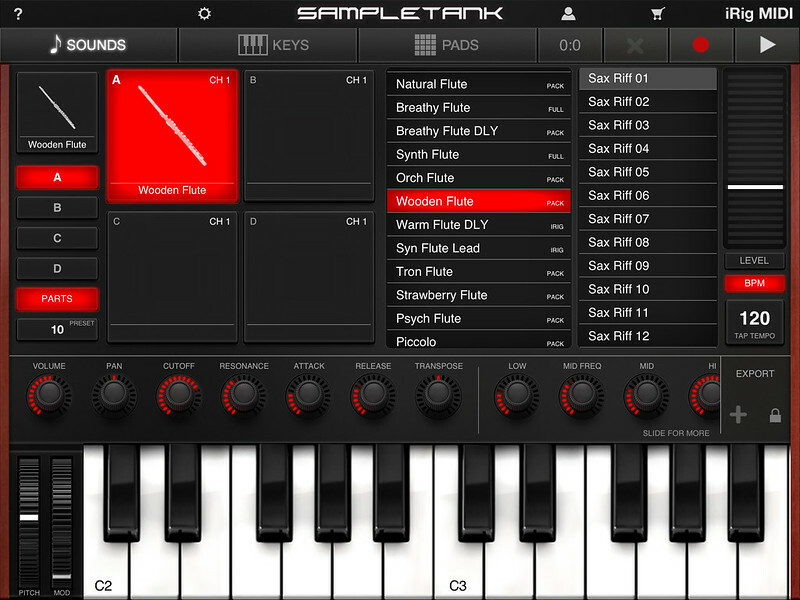 Both apps default to sending the chanter data on MIDI channel 1 and the drones data on MIDI channel 2. 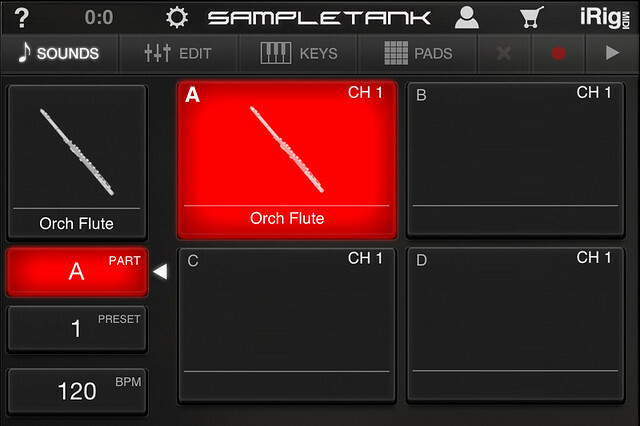 For SampleTank, you will want to setup a patch with two parts, the chanter sound on MIDI channel 1 and the drones sound on MIDI channel 2. 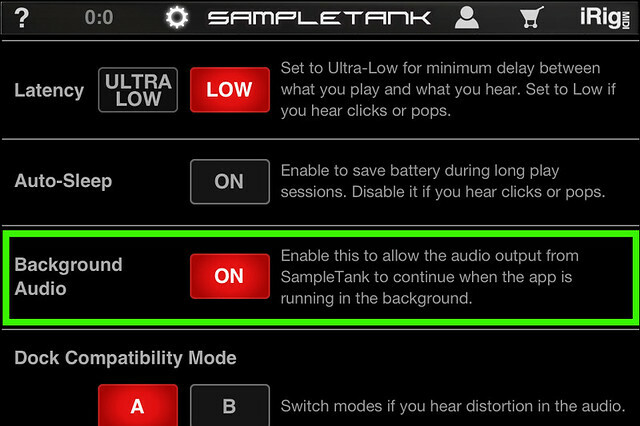 Make sure both parts are enabled to receive data in the SampleTank Parts selector for the patch, and save the setup as a preset. For ThumbJam, in "Prefs", under "MIDI Control", in "Input Options", turn "Omni Mode" off to allow the chanter and drones to be used on different sequential MIDI channels. 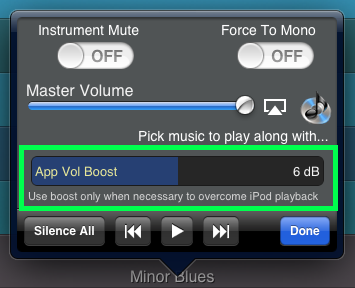 In ThumbJam the "Channel Start" value is already set to 1 by default. In ThumbJam use the second instrument load feature (touch the "1" on the left bar, toggles to "2") to allow a second instrument to be played on MIDI channel 2. The instrument in slot 1 (MIDI Channel 1) will be your chanter sound, slot 2 (MIDI Channel 2) will be your drone sound. 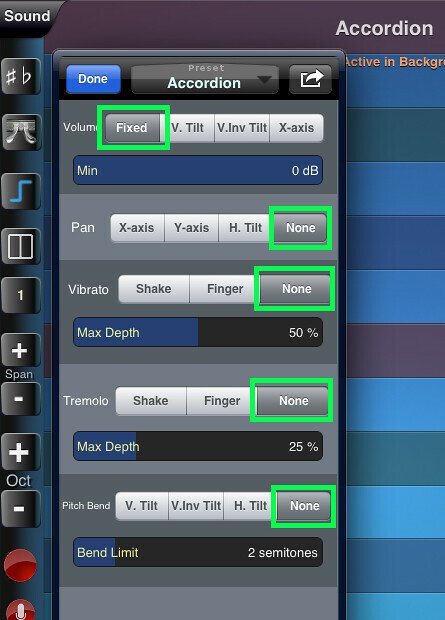 Which CoreMIDI-compliant synthesizer apps can be playing using your control surface apps? The iOS Musician website is maintaining a comprehensive list of apps that support virtual MIDI ports.